We're all asked "where do you find the time?" for something. Sewing, reading, baking, exercising, cleaning -- to fit anything else into an already-full life is a balancing act. Whether or not these 'extras' happen depends upon us being prepared for that window of time we may or may not get. I met a friend (and her four children) at the park the other day. She was dressed head-to-toe in work-out gear -- work-out shirt, shorts, shoes -- and pushing a high-tech, aero-dynamic pushchair. I asked if she'd just been running. No. About to go running? No. "But if I put on all my running clothes in the morning," she said, "then I might find a chance to run before the day is over. If I don't put them on, I definitely won't go." And I think perhaps we can all apply that thinking to our desire to do something -- when we wake up in the morning, we must plan for the possibility of having time. If we're already "dressed", physically or mentally, surely we're more likely to spring into action when the heavens align and a little free time arrives. We're also able to utilise smaller amounts of time -- ten minutes can easily be wasted away by preparations, but if you're ready for it, that ten minutes becomes useful. Here are some ways I find helpful to be prepared for time to sew. 1. Think bigger than your time. 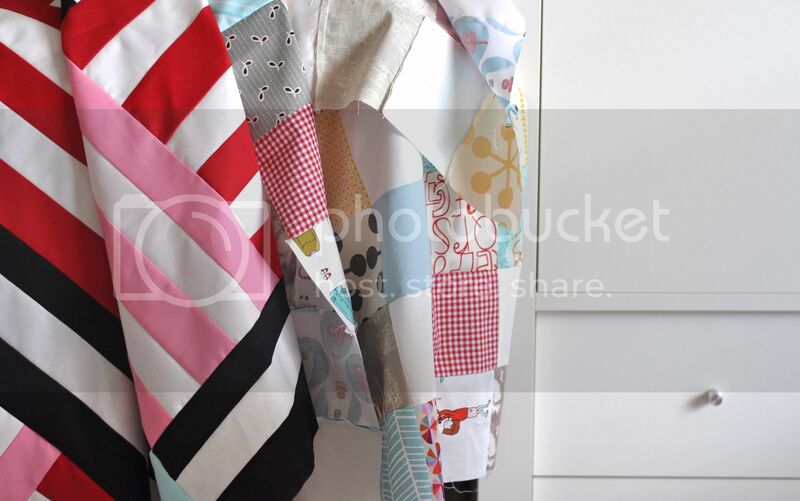 Twenty minutes is not enough to make a quilt. Or a dress. Or much of anything. But twenty minutes a day, over time, becomes substantial. Don't let your time limits today prevent you from starting that big project. You don't need to work out how it'll get finished. Once you start it, finishing becomes easy. It's much quicker to start on something that is already in progress, as you don't need to spend much time planning. 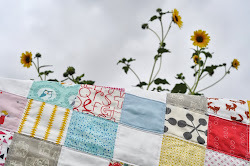 I tend to leave a pile of things that are ready to be trimmed, pinned, or sewn together ready for the next day, as these are things I can jump right into the moment a little time arises. Of course, if you don't have anything on the go, it's also great to begin something new -- just leave yourself something incomplete ready for the next day! I'm rubbish at taking the time to organise when that same time might be used to create, and so have found very simple ways to keep things visible and ordered. For example, I use a lot of 4" and 5" squares, and so I have a bowl for each size on the bookshelf. They are not particularly pretty bowls or neat piles, but so much time is saved by being able to grab the right size each time without sorting. 4. Build up a supply of prepared materials. 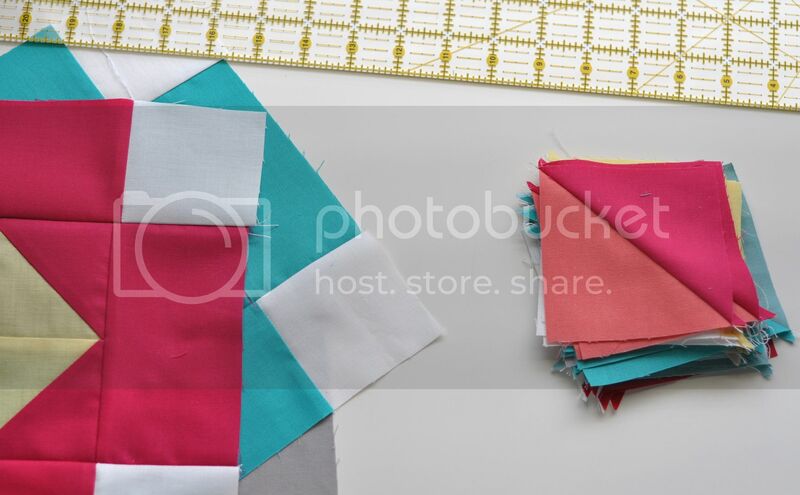 Pre-cutting squares (in fabrics and sizes you often like to work with) can make piecing a quilt top very quick. In general, if I use up most of a fabric on something, I cut the remainder into 4" and 5" squares and add them to the bowls. 4. 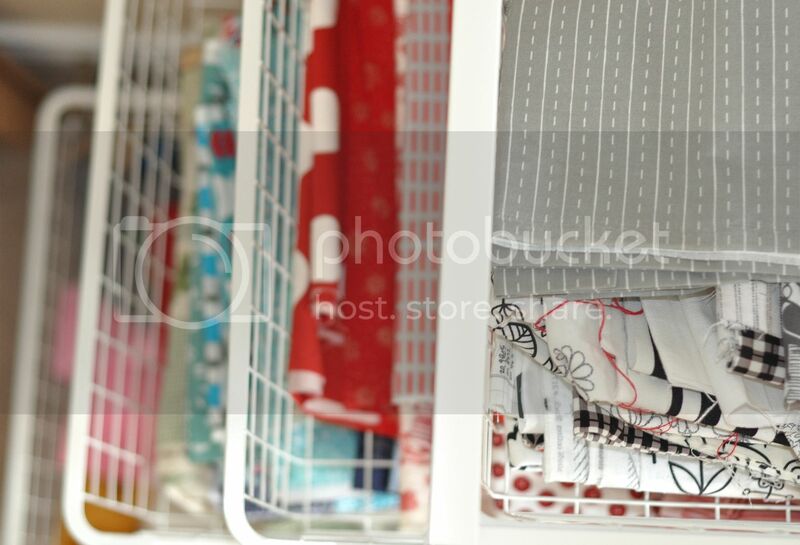 Keep fabrics "roughly sorted". Every now and then, when things get into such a mess that the drawers don't open, I go through and fold things properly. But in between, I find that what works for me is not wasting time doing neat folding every time I use a fabric, but keeping the fabrics orderly enough (i.e. grouped by colours) that I can find what I want quickly. 5. Have several things on the go at once. Basting a quilt takes a long time, and requires that at least the more mobile child be in bed (as "jumping" on the layers, or using them as frog blankets, is not generally recommended). Therefore, it's helpful to have smaller, quicker activities to do at times when a few hours and the entire living-room floor are not available. Like a song sung in a round, whenever something nears the end, something new begins. 6. Remember that no amount of time is too little. Ten minutes is enough to sew seams. Five minutes is enough to cut. Sixty seconds is enough to pin something. 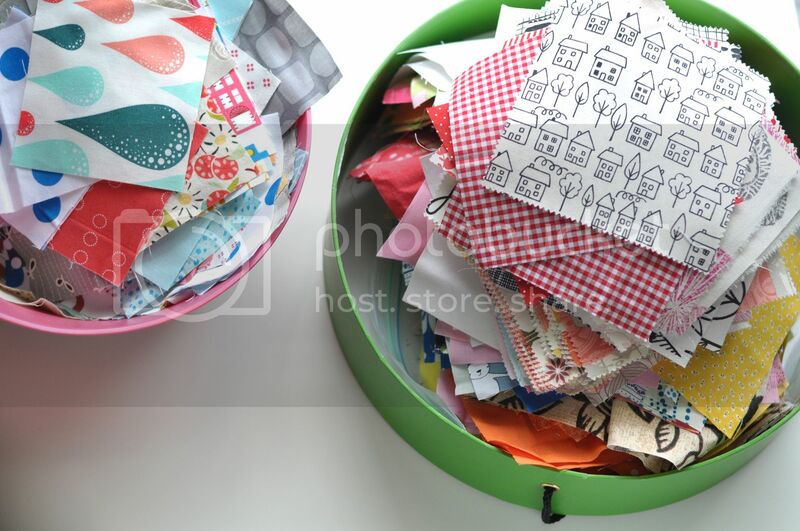 Smaller amounts of time add up, and by getting the little jobs out of the way, when you do find a lovely big hour-long chunk of time, you won't need to waste time trimming corners! Thanks, Joanna. They're definitely all things that I still struggle with, too -- and you know, we all need a few bumbling, waste-our-time sort of days too! But I hope on other days, we can find ways to make time to create! O wow I came here through Teawagon tales, but I'm sure to be following you! 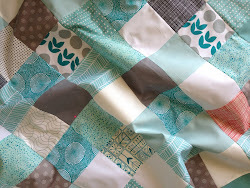 Those tips might come in handy as I am always thinking "tomorrow I'm gonna start a quilt!!!" and never get to it... Maybe.. tomorrow! I've always been in awe of your ability to find the time to get so many things done (remember when you'd create several scrapbook layouts in the time it took me to make one?)! Thanks for this glimpse into the inner workings of your brain! Btw, made your mac and cheese recipe recently and everyone loved it!